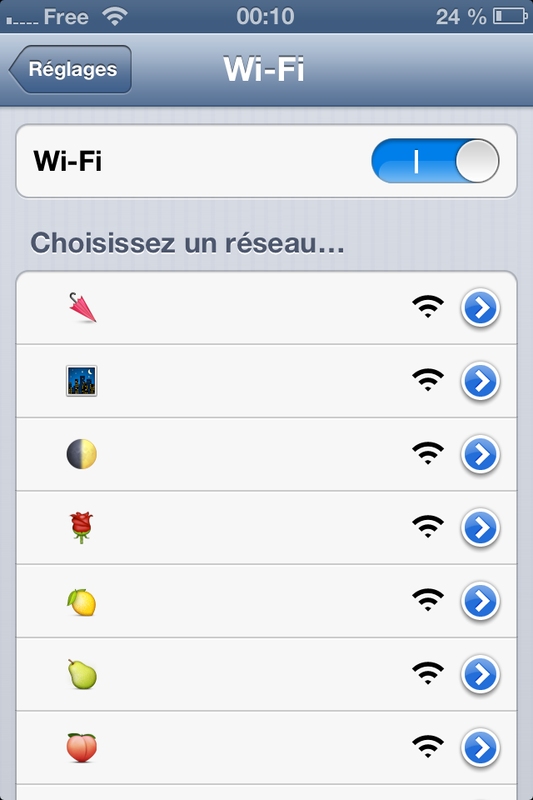 I think it's pretty cool naming wireless router SSID with emoji (絵文字). So I play around my wireless router settings and successfully renamed my wireless network with emoji after several attempts. As long as you're allowed to input unicode character on SSID, you can have emoji on your wireless router name. Before we move on, I would like to explain the device encoding compatibility with emoji. Only the device's system which support emoji can display pictograph as name of wireless network, such as iPhone, Mac OS X 10.7 Lion, Windows Phone 7, and etc. On the other hand, unsupported and partially supported devices may display a line of meaningless garbled code or square symbols. Don't worry, the wireless network is still discoverable and connectable as usual. I have tested on Windows 7, Linux Ubuntu, and my old Nokia N82 Symbian. Open Firefox and select Unicode (UTF-8) for Character Encoding (You may use any web browser, but I find that Firefox has better Character Encoding for emoji in unicode standard). Head over to Wikipedia - Emoji, highlight and copy the symbol. Enter your router default IP address (mine is 192.168.1.1) on URL address bar to configure router settings. 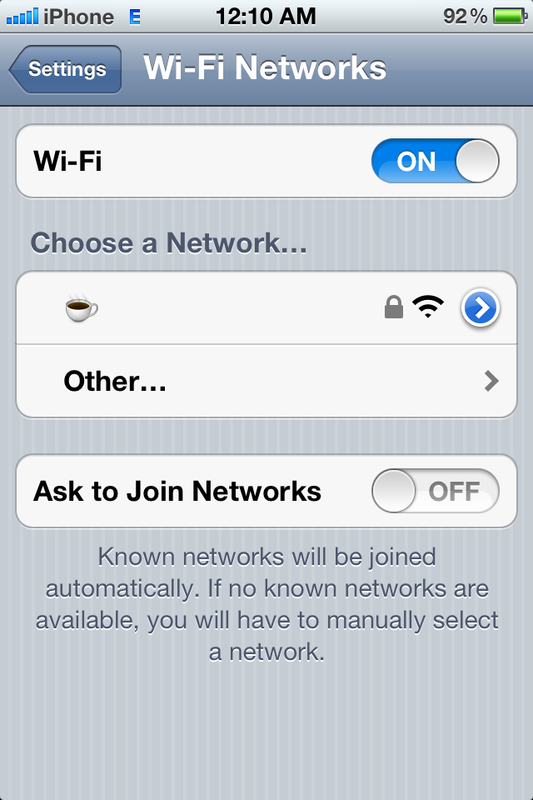 Paste the symbol on Wireless Network Name (SSID) field and Save it. You might encounter message like "Found a non-ISO-8859-1 character at position: 1, Please eliminate before continuing.". Just ignore it and continue. Router will restarts. Done. You should see emoji appears on WIFI list. Where are a list of emojis? Really? Don't able to read?